During certain types of disasters, such as wildfires or floods, you may need to leave your home in order to remain safe. Your family disaster plan should include locations to which you and your animals can evacuate (which might include an emergency shelter) and a way for family members to stay in contact. Be sure to sign up in Citizen Alert to get notifications about emergencies near your home, business, school or other locations. It is important to know that entry to evacuated areas will likely be denied until conditions are safe. In cases where some entry is allowed, residents will need proof of their address (such as a government-issued ID). Although you will not be forced to evacuate your home, if you choose to leave you may not be allowed to return until the danger has passed. In order to keep everyone safe, citizens need to stay out of the evacuated area so that emergency workers can do their best to minimize the impact to homes and businesses. Evacuating when asked to do so allows emergency workers to focus on the controlling disaster instead of saving the lives of people who have chosen to stay. Be sure to take your animals with you when you evacuate. Remember – if it’s not safe for you, then it’s not safe for them! In fact, animals can distract or harm the emergency workers who are trying to save homes and property. In 2014, the State of Oregon adopted a three-level evacuation process. It’s important to understand what these levels mean in case you are ever asked to evacuate. 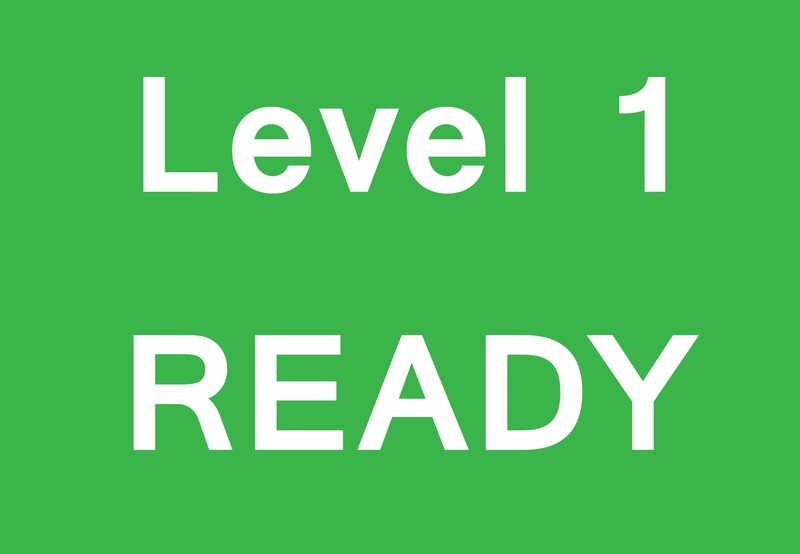 A LEVEL 1 evacuation means “BE READY” for potential evacuation. Residents should be aware of the danger that exists in their area, monitor emergency services websites and local media outlets for information. This is the time for preparation and precautionary movement of persons with special needs, mobile property and (under certain circumstances) pets and livestock. If conditions worsen, emergency services personnel may contact you via an emergency notification system. 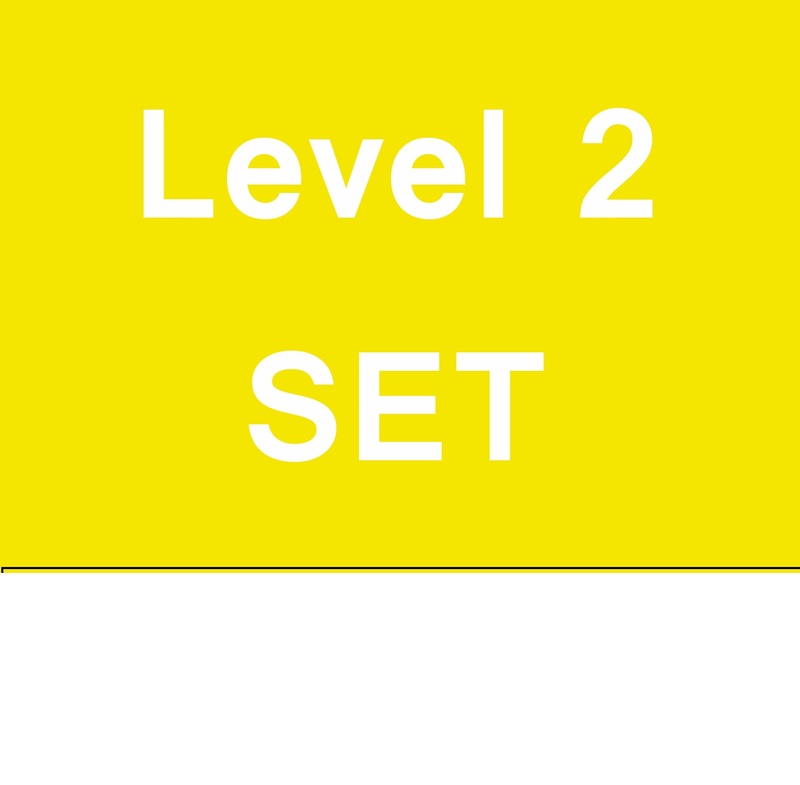 A LEVEL 2 evacuation means “BE SET” to evacuate. 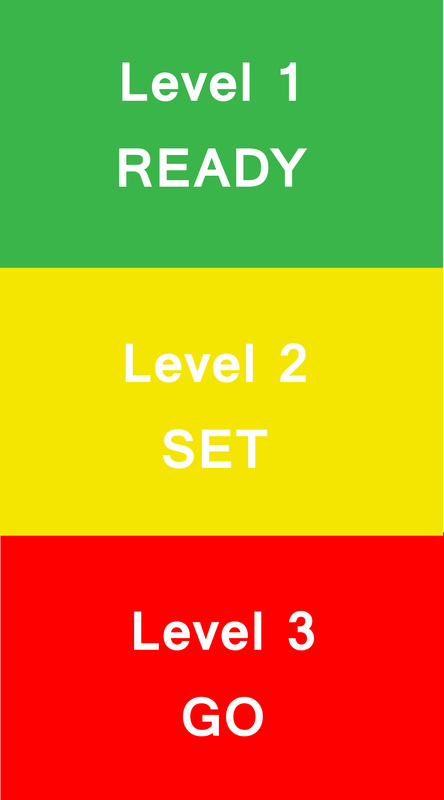 This level indicates there is significant danger to your area, and residents should either voluntarily relocate to a shelter or with family/friends outside of the affected area, or if choosing to remain, to be ready to evacuate at a moment’s notice. Residents MAY have time to gather necessary items, but doing so is at their own risk. THIS MAY BE THE ONLY NOTICE THAT YOU RECEIVE! Emergency services cannot guarantee that they will be able to notify you if conditions rapidly deteriorate. Area media services will be asked to broadcast periodic updates. 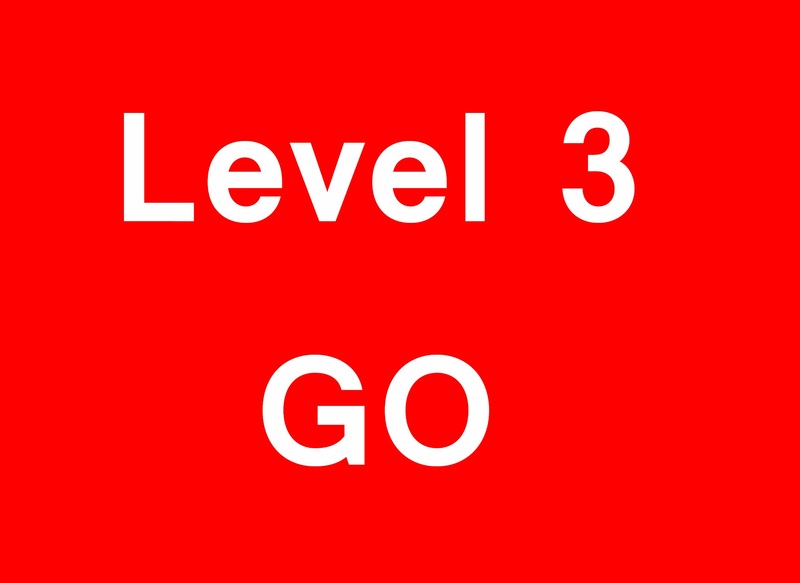 A LEVEL 3 evacuation means that you need to LEAVE IMMEDIATELY! Danger to your area is current or imminent, and you should evacuate immediately. If you choose to ignore this advisement, you must understand that emergency services may not be available to assist you further. DO NOT delay leaving to gather any belongings or make efforts to protect your home.